Today I am going to be talking about a hot topic in education here in Indiana these days… standardized testing. Whether you agree with Common Core, or State Standardized Tests or not, they are here to stay. 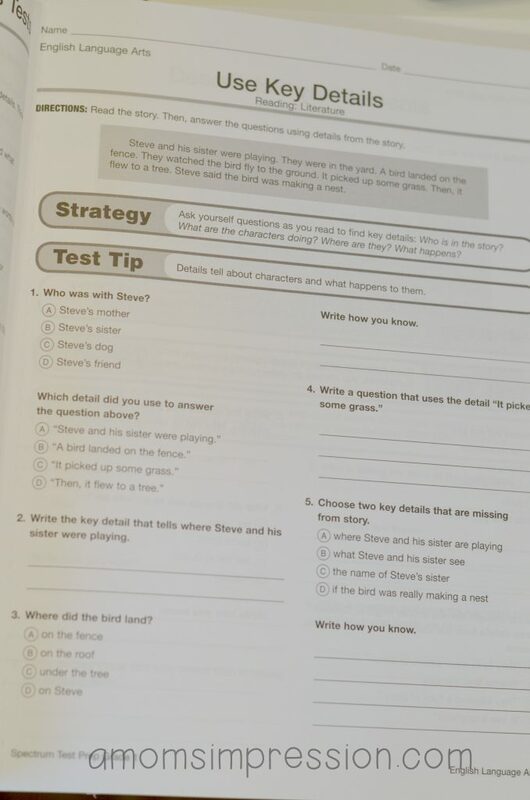 In my school we are seeing more and more testing being done in younger grades like mine. In fact, my evaluation as a first grade teacher is now tied to how my first graders do on a standardized test. With all of these changes happening and with my son now attending my school, I knew that I needed to do something to prepare these kids for these high-stakes tests. Many kids, my son included, are scared of failing. I have seen this year after year, especially with my high achieving students. This need to be perfect or to score high makes them fearful of taking a test. Because of this fear, taking tests are particularly hard for them. My job as a mom and teacher is to try and alleviate this anxiety the best that I can. One of the ways to do this is to try to prepare them for these tests. Like anyone, kids feel less pressure and stress the more prepared they are for something. When I look for resources for my classroom or for my own kids, I look for experience and a source that I can believe in. There is a trust that only comes from experience and Carson-Dellosa is a company that has it. Carson-Dellosa Publishing Group was founded by teachers and has a 35-year history as the leading supplemental education provider for teachers, parents and students. 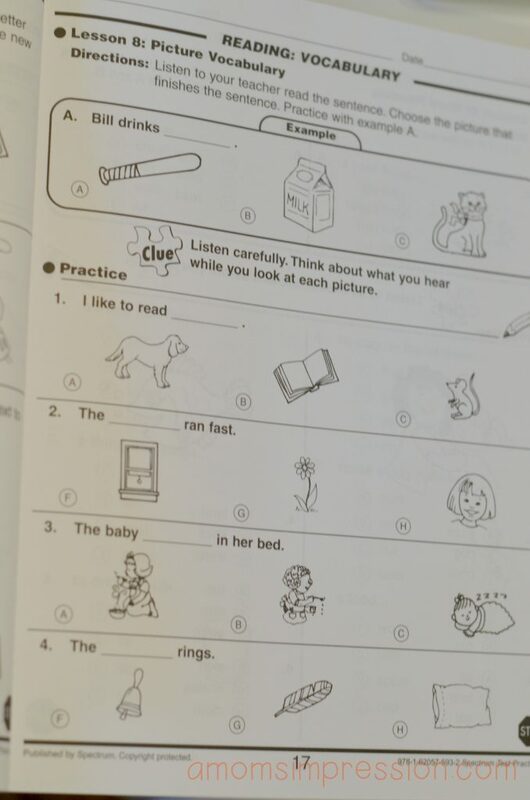 I recently tried Carson-Dellosa’s Spectrum Test Practice and Test Prep practice books with Jonah as well as with my first grade students. These resources were created as a grade-specific workbook series designed to help students prepare for standardized tests and learn how to become a successful test taker. No matter what state you are in, this test will cover material that is aligned to the Common Core Standards. After using these workbooks for the past couple of weeks, I find that they are excellent in featuring skills and strategies that I am already teaching in small group in my classroom. They reinforce the work I am doing and in turn give kids the opportunity to practice testing tips ands strategies in a different manner than what we are practicing at school. It is a valuable resource for parents with kids with testing anxiety. The books are filled with small little test taking tips that are great little helpers along the way. The books make it easy for parents who are not educators or home schoolers to work with their children. I love that it aligns with what I am teaching in class. I often have parents ask me what they can do to help they child and now I have a great resource to give them. I have been including some of these work pages in my homework packets and have gotten a great response from parents. This day and age it is imperative that our kids know how to take a test. 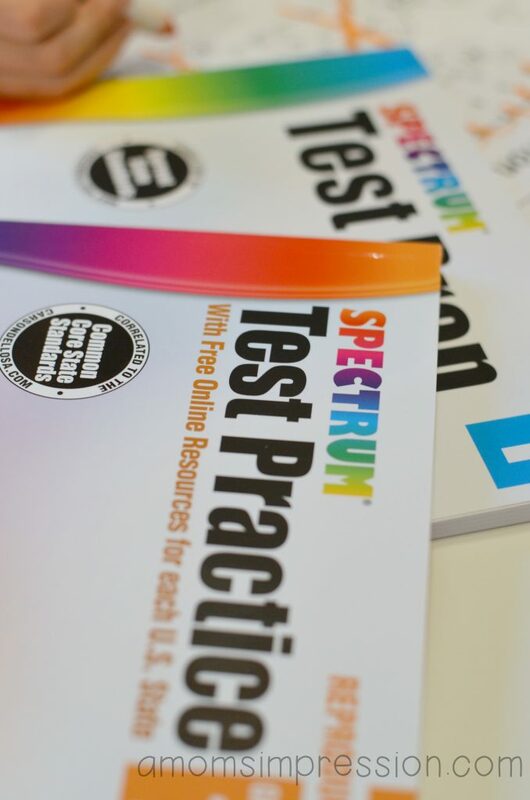 Spectrum Test Prep help students learn how to follow directions, understand different test formats, budget their time wisely and include helpful strategies for avoiding common test taking mistakes all skills that are necessary to be a successful test taker. For more information visit Carson-Dellosa on their Website, Facebook, and Twitter. 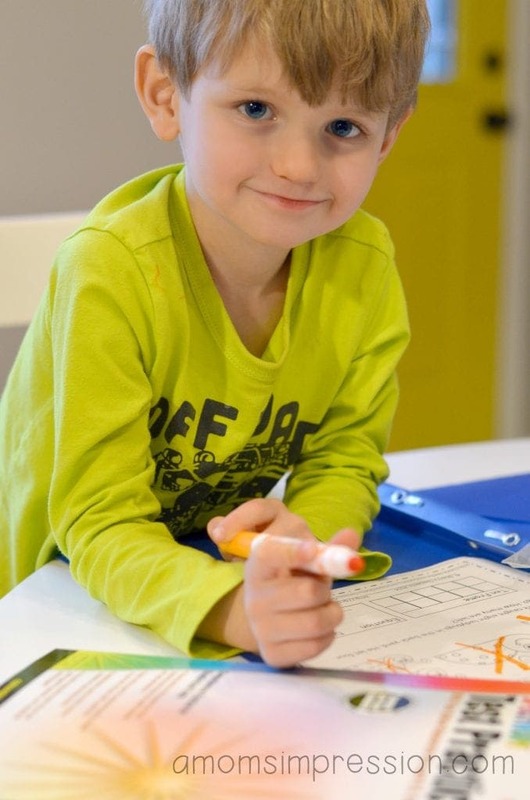 How do you prepare your child for big tests at school? It is very sad to see that you are promoting this garbage – your state is actually on he brink of removing common core from the school system!! Why even state that this type of Psychological- and YES that is what you are fishing out to your children!! – is OK and that it’s here to stay!?! Step up MOMS and take a look at what you are allowing these people to teach your children!